Carrots are rich in beta carotene and potatoes contains carbohydrates. Both are good for babies to keep them healthy and energetic. I have introduced carrots to my baby at her 6th month and potatoes at her 8 th month. 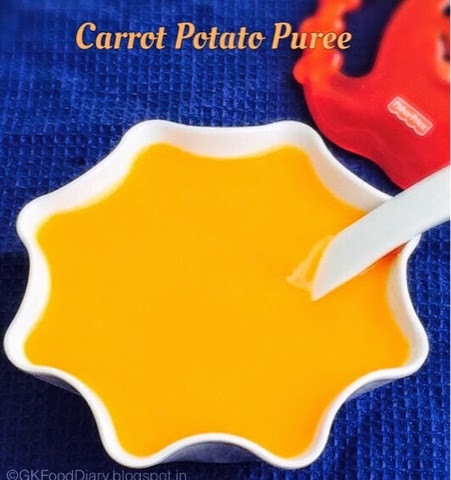 She had this carrot potato combination puree at her 8 th month once her stomach is adjusted with both carrots and potatoes as individual purees. Let’s see the recipe. Once the carrot & potato are steamed, it will be soft and transparent. 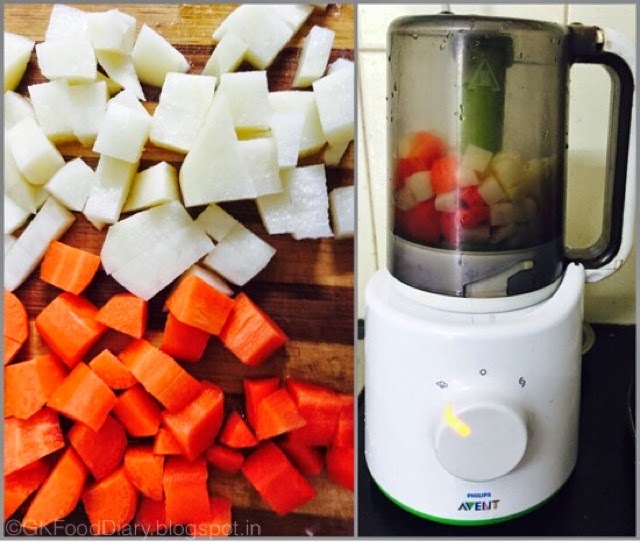 Now blend it with little water to a smooth paste in a blender. 2. Once the carrot & potato are steamed, it will be soft and transparent. 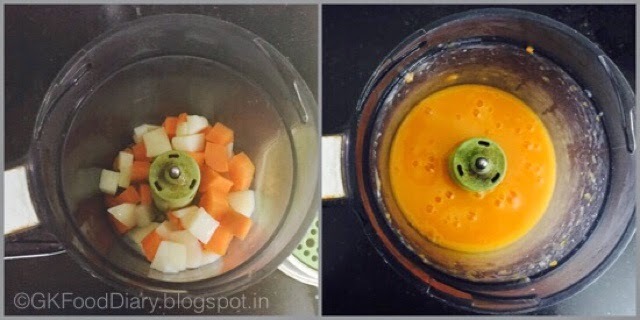 Now blend it with little water to a smooth paste in a blender. 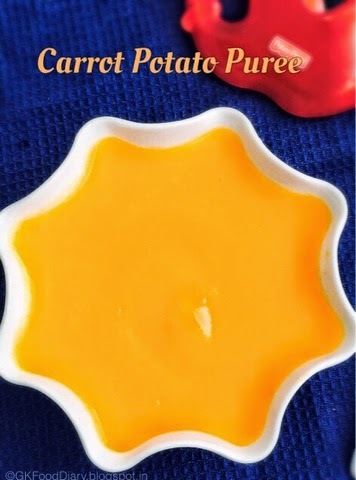 Healthy and tasty carrot potato Puree is ready to feed your baby. 1. 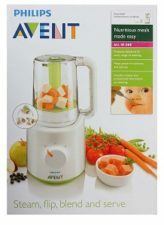 Generally carrot/potato doesn’t cause any allergies, but check for symptoms and stop feeding your baby if you find any. 2. Always check with your pediatrician before introducing any new food. 3. 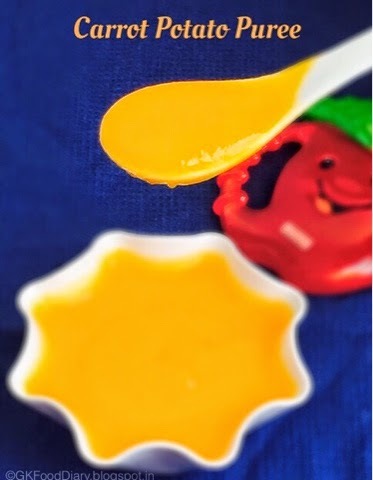 Steaming is a healthy option for baby food than pressure cooking. So I prefer steaming using a Idli pot or steamer.